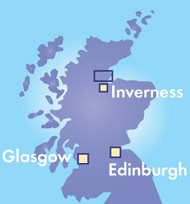 TroutQuest™ is owner operated by Roger Dowsett, a professionally qualified trout and salmon fly fishing instructor, and is based in Evanton, Ross-shire in the Northern Highlands of Scotland approximately 20 miles north of Inverness. From our base here we offer guided fly fishing trips and salmon and trout fly fishing instruction, and we can arrange a wide variety of custom fly fishing holidays and short breaks. Our location is ideal for guided fly fishing excursions for individuals or small groups of anglers throughout the counties of Ross-shire, Sutherland and Caithness. In 2009 we made our first guided trip to Orkney, returning there in 2010, 2012 and 2017, visiting South Uist in 2015. In 2007 we took a group to New Mexico, USA and in 2011 we headed for warmer climes with a saltwater trip to Cuba. TroutQuest has leases or private arrangements for wild brown trout fishing on a number of excellent lochs locally as well as a private lochan on site for teaching purposes. Through SalmonQuest we have extensive access to salmon and sea-trout fishing on the private Novar beats of the River Alness, and limited access to some of the private beats of the River Conon. 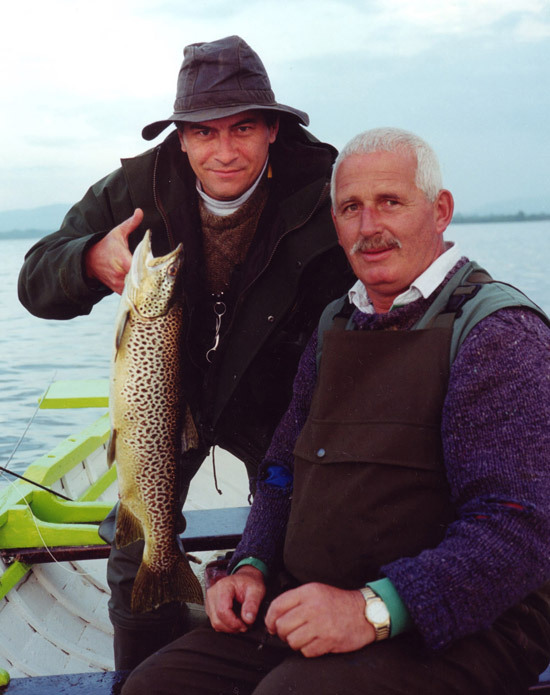 In addition, there are many fine day-ticket waters for salmon, sea trout and brown trout locally that we can use in combination to produce an unforgettable fishing experience. Our holidays combine wonderful fly fishing, stunning scenery, high-quality accommodation and a variety of optional fly fishing services. SalmonQuest™ offers salmon fishing holidays and lets, and also provides salmon fishery management and marketing services. In 2007 we went into partnership with Novar Estate forming the Novar Fishings Partnership and we now manage the Novar Fishings comprising 7 miles of private salmon, sea trout and brown trout fishing on the River Alness. TM: TroutQuest and the TroutQuest logo; SalmonQuest and the SalmonQuest logo are trademarks of Roger Dowsett trading as TroutQuest and SalmonQuest. Roger gave up his 20 year career in the petroleum and I.T. 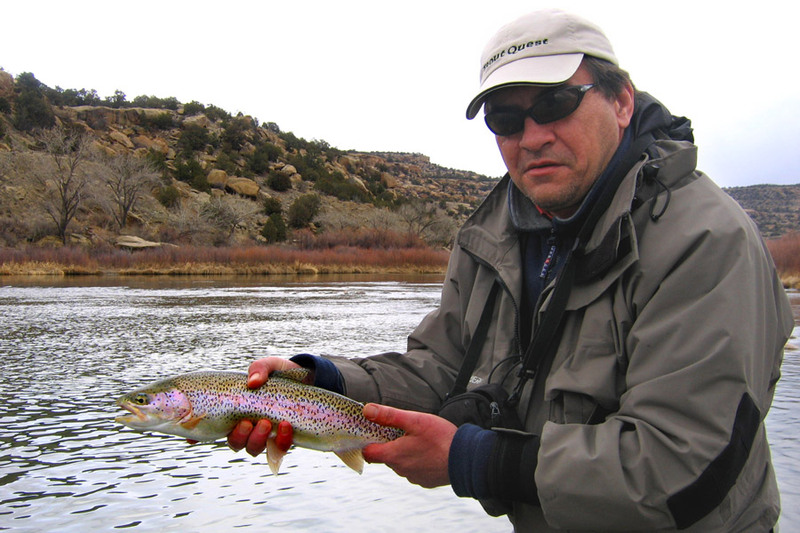 industries in 2001 to start TroutQuest and pursue a new life in fly fishing, his life-time passion. Roger has fly fished extensively for trout and salmon on rivers and lochs throughout the UK from the Kennet, Test and small stillwaters of southern England to the Dee and Spey and the trout lochs of Caithness, Sutherland and Orkney in the Highlands. 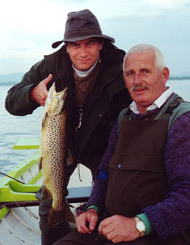 Abroad he has fished in Argentina (Tierra del Fuego and Northern Patagonia), Ireland, Sweden, Cuba and the USA. 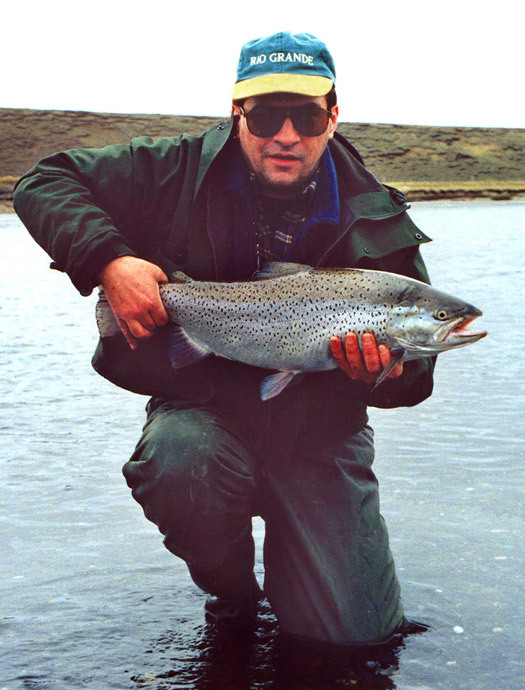 Roger is a professionally qualified fly fishing instructor and guide holding the Game Angling Instructor Certificate (GAIC) for both trout fishing and salmon fishing. He is also a member of the Salmon & Trout Association (S&TA), the Game Angling Instructors' Association (GAIA), and the Wild Trout Trust. 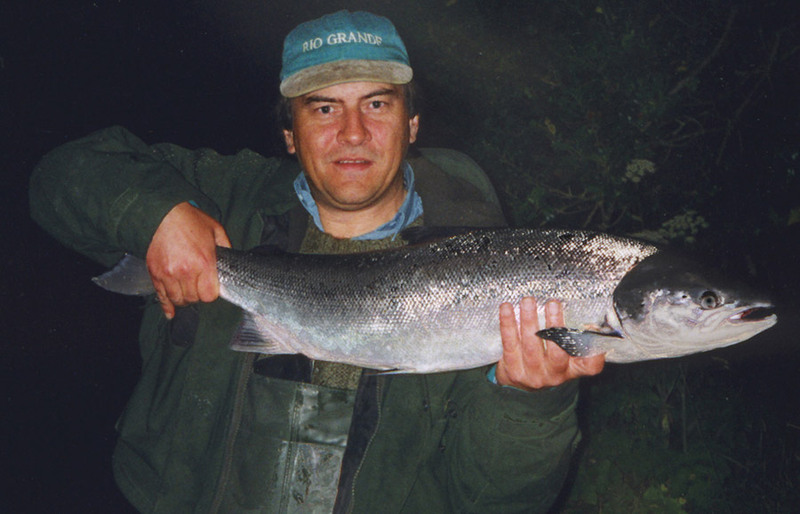 TroutQuest was an ambition for many years, and the Ross-shire location is a return to his home as a youth, and where he caught his first salmon on the River Alness 35 years ago.